Exotic species such as rhododendron and azalea that wouldn’t normally be found growing in Michigan’s alkaline soils need special fertilization every week or two from early May until late July. Use a water-soluble fertilizer that includes micronutrients. Products range from seaweed solutions to acid-loving plant powders that dissolve in water. Spray the solution onto the plant’s foliage, so some nutrients can be absorbed directly into the leaves. The basic idea of fertilization is to supplement the soil rather than the plant. Just because the label says “Lawn Fertilizer” or “Rose Food,” it doesn’t mean that fertilizer must be used exclusively on that plant, or that plant must have its namesake fertilizer. Specialty fertilizers in general were formulated to meet greenhouse growers’ needs, providing enough nutrients in the right proportions for the named plants when those are growing in soilless peat-bark mixes. A Michigan State University Extension soil test is a better guide for choosing fertilizer for field-grown plants. It pinpoints nutrients present and lacking in a soil. You may correctly use lawn fertilizer on roses and vegetable formulas on trees if those products most closely match the nutrient ratios prescribed by the MSU soil test result. An excess of any nutrient can be wasteful, or even harmful, to plants or the wider environment. Avoid “bloom builder” fertilizers with an extremely high middle number (10-30-20 and 5-30-5 formulations are two examples) unless you know your soil is deficient in what that middle number measures, phosphorus. Learn to recognize needy plants by diminishing leaf size, paleness or washed-out bloom color. Use water soluble products as mid-season supplements for these plants – kelp and fish emulsion sprays or water soluble powders. Accept the fact that some plants are so far removed from their forebears that they need more nutrients than nature can supply. Varieties of rose, delphinium, clematis, dahlia, tomato and corn bred for enormous flowers or fruits won’t live up to their catalog descriptions without fertilizer supplements. 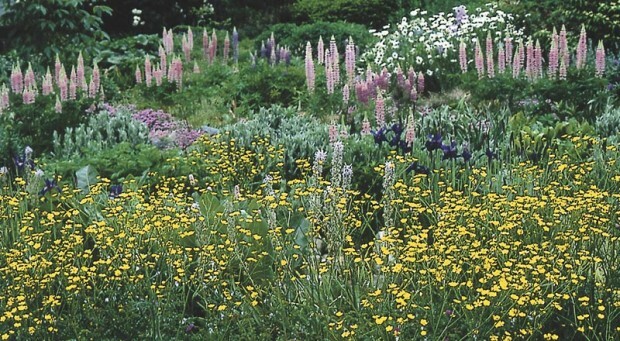 Likewise, plants that you plant in soil that is very different than their native habitat will probably need special attention. 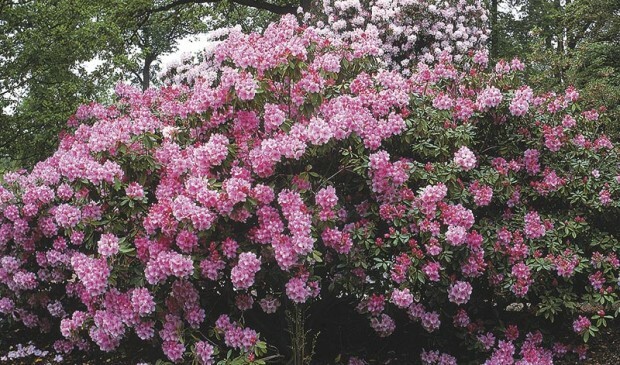 Rhododendrons, azaleas, pieris, mountain laurel and heather cannot obtain essential nutrients from alkaline soil and so require “acid-loving plant” fertilizers that supply micronutrients in water soluble form. Use MSU Extension’s soil testing lab to learn what nutrients your soil really needs. (Contact your county’s MSU Extension office for a soil testing kit and instructions.) You may be surprised. Some soils have everything a plant needs except nitrogen, so the fertilizer recommendation from MSU’s soil lab may call for a simple nitrogen source such as 20-0-0 lawn fertilizer. Don’t use it if you don’t want to. Keep your soil’s organic matter content high by continual sheet composting – layering nutrient-rich plant matter such as fallen leaves and kitchen parings over the soil. Organic matter decomposes into nitrogen and other nutrients. One percent of organic matter in the soil yields nitrogen at a rate comparable to fertilizing with one pound of actual nitrogen per thousand square feet. It takes 3 pounds of 33-0-0 or 100 pounds of 1-0-0 fertilizer to do the same for that 1,000 square feet. Microorganisms and other soil-dwelling creatures must digest slow-release organic fertilizers such as cottonseed meal and feather meal before the nutrients in these products become soluble and available to plant roots. So apply such fertilizers a month or two before you expect the plants in that area to begin rapid growth. “Organic” and “inorganic” (manufactured) fertilizers often look very similar and other distinctions between them are also fuzzy. A plant can’t use either type of fertilizer until it has been dissolved in water. Most “organics” must be broken down by fungi and soil-dwelling creatures before they dissolve, while many “inorganic” fertilizers dissolve immediately. Yet fish emulsion, kelp and compost tea are organic and water soluble. Flower color may be deeper in some species when the plant is given supplemental fertilizer. But fertilizer isn’t necessary if the flowers and colors in your garden measure up on the yardstick that counts most—your own appreciative eye. 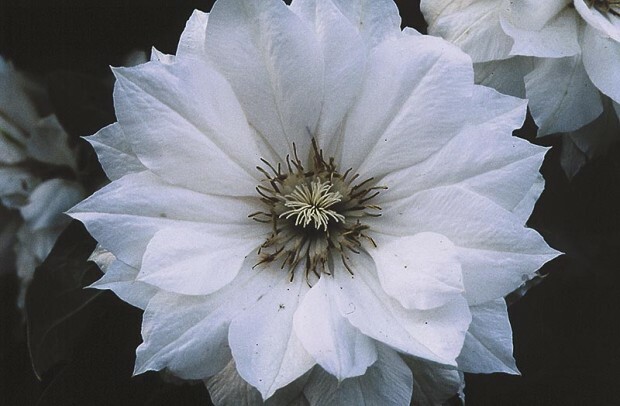 The queen of vines, large-flowered clematis, has a reputation for loving alkaline soils. Although this myth has been dispelled by experts, many gardeners continue to spread agricultural lime or gypsum at the feet of their clematis. In Michigan’s naturally-alkaline soils, this repeated liming can be counterproductive, blocking other nutrients from reaching the plant. I agree that you need to avoid an excess of nutrients when fertilizing. It would be good to consider how much fertilizer to use in the first place. You may also want to consider the type and makeup to ensure your plants will flourish.